Technically, this isn’t my outfit today. I actually wore this last Sunday, but I thought it was cute and wanted to share it with you guys!!! 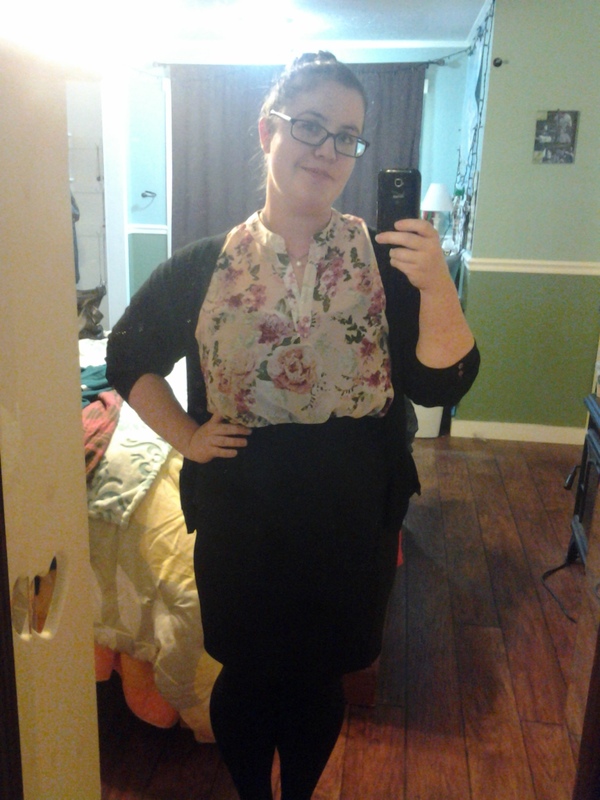 I’m not usually one to do Outfits of the Day, but I thought I looked especially cute and really had to share with you guys! 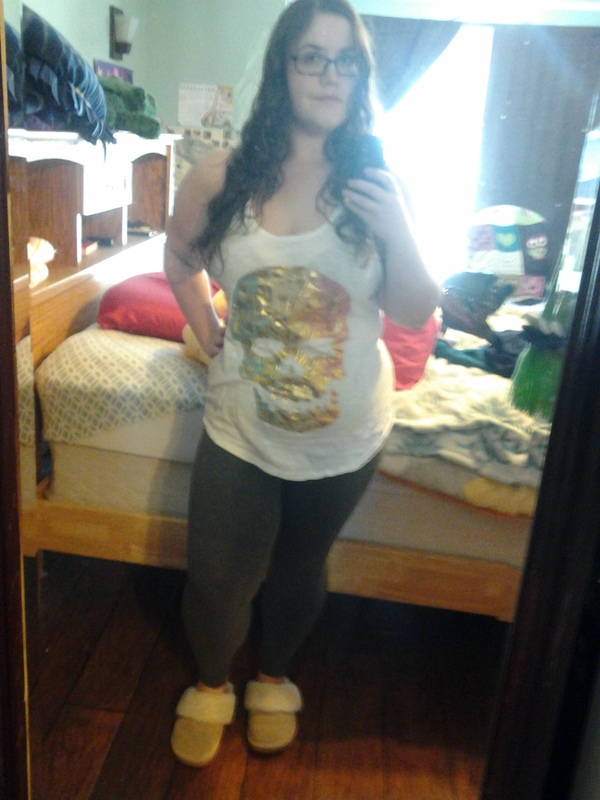 I hope that’s a good enough picture so that you can see the outfit!! 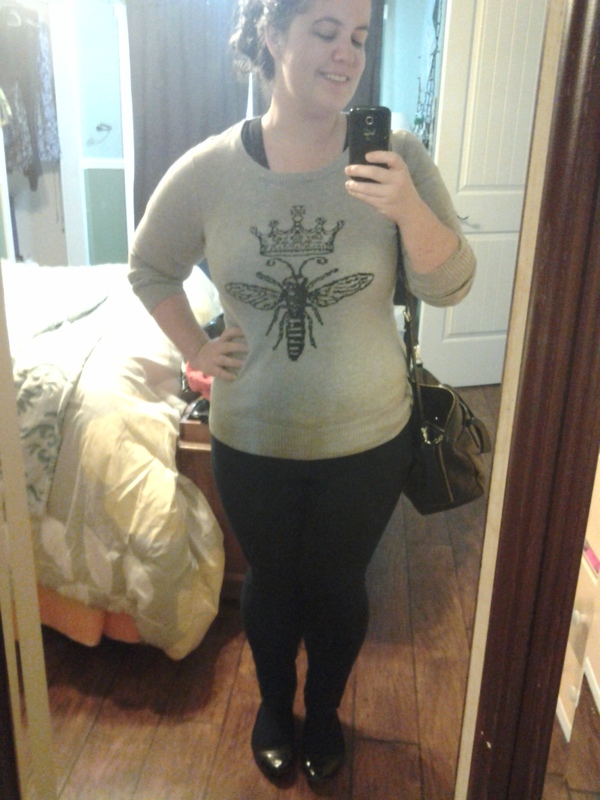 It was a bit of a dreary Monday and I felt like looking cute! I hope everyone had a nice Monday! And it’s a beautiful day out! 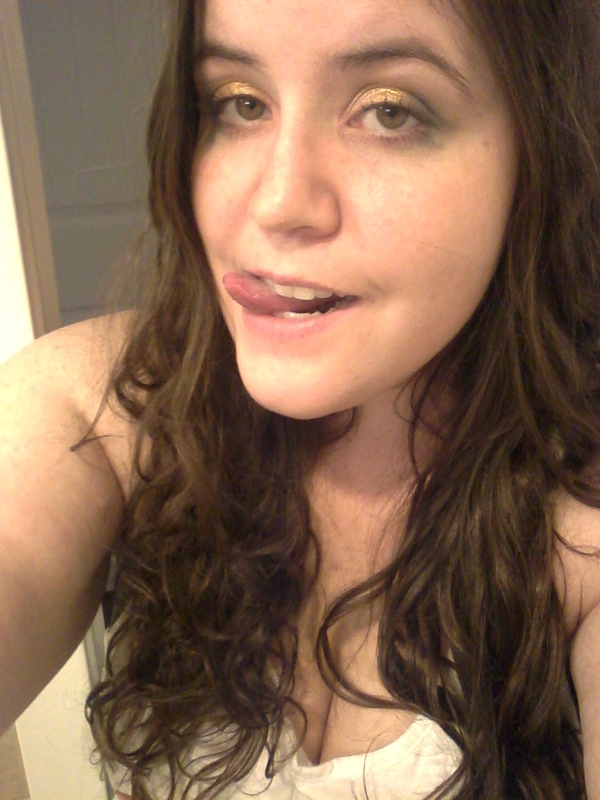 So I put on an old (but fun) tank I have and suddenly, I’m playing with makeup again! It’s fun to play with bright colours that I don’t get to wear to work! 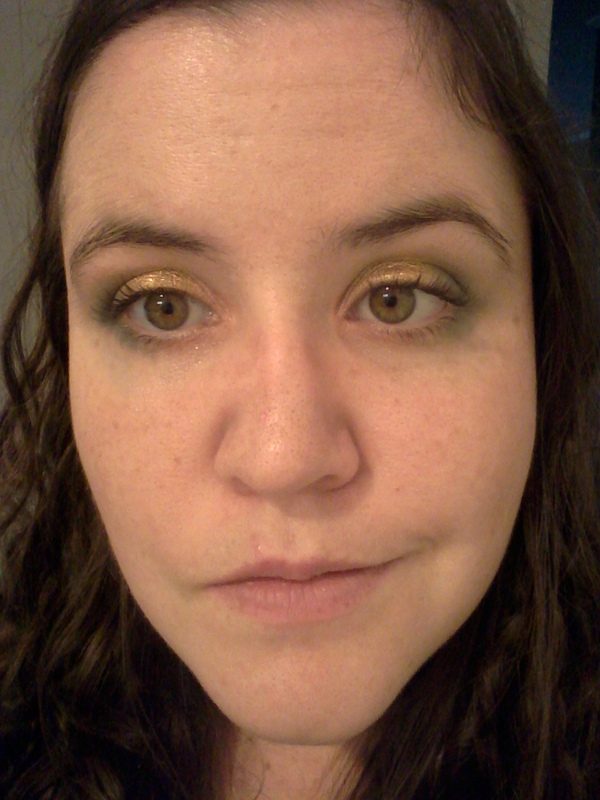 This is also my first look where I’ve successfully incorporated blue eyeshadow. (Blue eyeshadow is a bit intimidating, to be honest.) I sent a selfie to my lovely friend Jessica and she immediately suggested a style post! Not a bad idea, especially since I’ve been so terrible at posting. Anyway, on to my style! Hopefully a good look at the colours. My aesthetic: sultry-eyed silly goose.